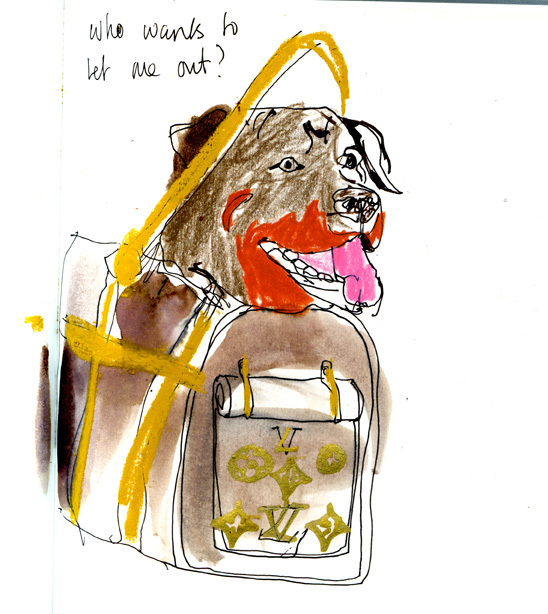 ‘Big Dog’ by Lewis Vuitton. “Anyone who’s anyone will put their Rottweiler in this bag” Said Anna Horror-Head, Fashion P.R Manager of Selfridges, and Rottweiler user. My arms are even thinner and more muscular now too. He occasionally gnaws off chunks from me which is FAB. His colours match the bag so well. It’s to DIE FOR.